Unless you’ve been to Milan, Italy and had the pleasure of tasting the regional pizza, you’ve probably never had anything quite like it… until now. The founders of Ambrogio15 hail from Milan, and because they themselves are Milanese they know a thing or two about crafting Milanese-Style Pizza. Alas, patrons can enjoy the most authentic version being served this side of the Atlantic at Ambrogio15. 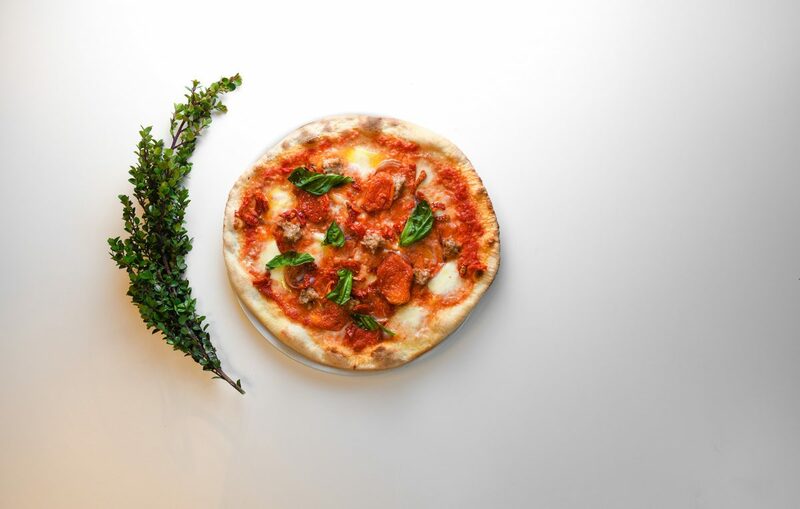 With locations in both Pacific Beach and Little Italy firing up this tasty dish, the people of San Diego have a clear path to experience Milanese-Style Pizza. In the United States pizza has arguably won the popular vote when it comes to deciding the nation’s favorite food. This tried and true baked entrée comes in many different forms, and the type of pizza that is most favored actually varies throughout the country. East Coasters love Sicilian and New York style pizza, while deep-dish pizzas are the prominent choice of pizza fans in Chicago and Detroit. Even Italy serves numerous versions of pizza that vary region, but it’s the kind that’s eaten in Milan that stands out from the rest. In short, Milanese-Style Pizza is embodied by a paper-thin crust that is often better eaten with a fork and knife rather than picking it up. Great tasting Milanese-Style Pizza must begin with great dough. Ambrogio15 makes their dough with 100% organic stone-ground Petra flour imported from Italy. Petra flour is derived by crushing the entire wheat grain including the fiber packed outer layer and nutrient rich wheat germ. With all of its integrity intact, Petra flour is then sifted into a fine powder that creates the perfect texture for baking Milanese-Style Pizza dough. To prepare the dough, Amrbogio15 has developed a secret recipe that employs authentic Italian techniques including 48-hour rising process. Once ready, the dough is formed into 15-inch diameter pies (hence the name, Ambrogio15) and is ready to be baked. To achieve an evenly baked pie, Ambrogio15 bakes their Milanese-Style Pizza in a Marra Forni Rotator brick oven. The high-powered Italian import, capable of reaching up to 700 degrees in temperature, allows for a crisp on the outside chewy on the inside crust that’s characteristic to Milanese-Style Pizza. Ambrogio15 guests have the option to order their crust with whole wheat or gluten free flour as well. Whether you chose white, whole wheat, or gluten free crust rest assured it will be free of mycotoxins, pesticides, preservatives. Once the skilled Amrbogio15 pie makers achieve the perfect crust, the next order of business is topping the pizza. It would be blasphemous to top Milanese-style Pizza with anything but Italian imported or locally sourced organic ingredients. Case in point, we dress our classic Margherita pizza with DOP certified San Marzano tomatoes, authentic buffalo mozzarella and fresh basil. 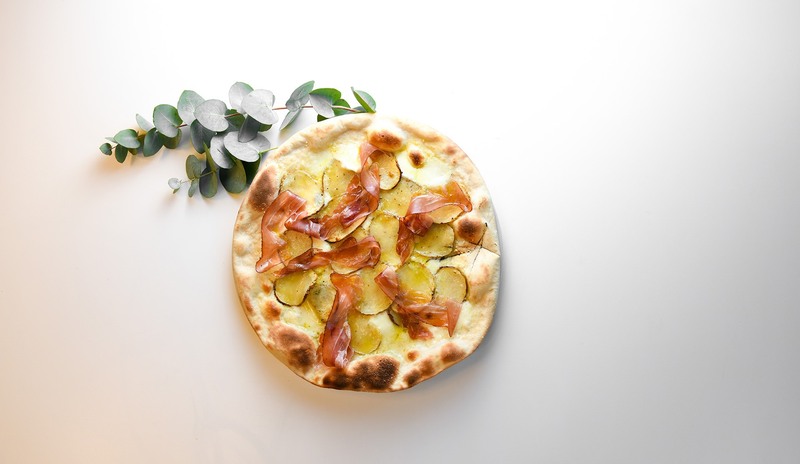 For an extremely unique and inspired pie, feast on the Burrata e Prosciutto Crudo pizza. 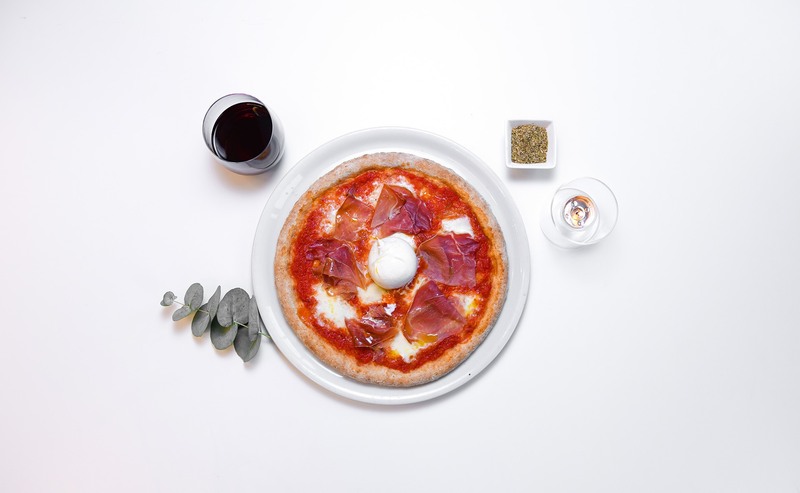 It incorporates the same elements as the Margherita, except substitute the fresh basil and add 20-month aged prosciutto crudo di Parma and burrata cheese that’s flown in fresh from Puglia, Italy twice a week. Deliziosa! Visit Ambrogio15 on Facebook and Instagram.